Jones hails maturity of Clarets! Midfielder David Jones feels the Clarets are maturing at the perfect moment as they bid to stay in the Premier League. And the 30-year-old believes that the result and performance in victory over defending champions Manchester City at the weekend illustrates the growth of the club. 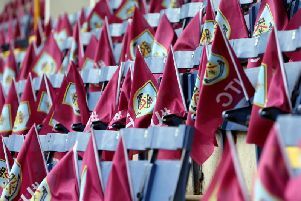 Jones excelled in his customary central role alongside Scott Arfield as George Boyd’s 61st minute strike proved the difference against Manuel Pellegrini’s Champions League dropouts at Turf Moor. “It’s a brilliant result,” he said. “We worked hard for it and deserved it. Looking at the results it was a vital win. We can take a lot of positives from it and carry that forward. The Clarets take on Southampton at St Mary’s tomorrow knowing that a point could see them out of the division’s bottom three should West Ham see off Sunderland in the evening kick-off at the Boleyn Ground. We’re well drilled and well focused to see the job through. “There’s not many better teams in the league than the current champions so to put on a display like that and get the result it can only give us belief going into the final nine games,” Jones said. “We don’t want to have this as a single result. We have to build on it, and that starts in training and looking towards another big game at Southampton.